Many question why a loving God would create a hell (or more properly called the Lake of Fire) to torment humans, who didn't accept God, for all eternity. Many question even the justice of this especially since to them, God has not made Himself physically visible. For many they picture a tyrrantic, sadistic God who enjoys burning people for all eternity for the few transgressions committed within a very short lifetime. On the surface this seems hard to justify or defend. Because of this many issue this as a primary reason for not believing in God. Others even attempt to add to the Bible by assuming the Lake of Fire is a state of mind (Catholic) or exists until everyone thrown in it is burned up (nihilism-SDA & JW). My goal is to show that our arguments doesn't hold up as we fully understand how any person would end up in such a horrid place. Is the Lake of Fire Hell Purgatory? Unfortunately Purgatory nor any similar concept of it is found nowhere in scripture. Purgatory was conceived by Medievalist Jacques Le Goff between 1170 and 1200. (a) The idea which are only accepted by Orthodox and Catholics, assumes after death all people are still not good enough to enter heaven and must be purified in the purging flames of this fantasy place. However the Bible shows directly the opposite of this notion. Hell on the other hand was taught as a real place by Jesus and the apostles. Even King David talks about it in his Psalms. It is a place of torment and of fire. And Revelation also speaks of Hell's final placement. Who is the Lake of Fire for? The Lake of Fire was definitely not designed with humans in mind. It is to be a place of ETERNAL torment and fire reserved to punish fallen angels for all eternity. Notice tBut if this were the case why would any human ever be tossed there? What makes the Lake of Fire special? You will notice the command by God to "Depart from Him". This indicates that the Lake of Fire is a place where God will not be. We know God is omnipresent, being everywhere at all times, but apparently He chooses not be in the Lake of Fire. Also this Lake of Fire is ETERNAL in nature, as the Beast and false prophet, who are real flesh and blood persons were thrown into it. Then 1000yrs later Satan is thrown in as well and the beast and the false prophet are still there being tormented. We know God is a god of order and complexity as shown by His creation. We also know with God present there is always hope in His miracles. Now imagine a place with none of those qualities. What would you have? Anarchy, despair, and endless hopelessness. This is Lake of Fire. And as the verses above show, it lasts forever. Why would any human be thrown into hell? The Bible says anything that isn't fit for the God's kingdom shall be removed and more or less dumped into the Lake of Fire. Jesus, when referring to this place, used the word Gehenna which was the literal 'garbage dump' in ancient Israel located outside the city of Jerusalem. (b) Here they would burn anything not fit to remain within the city like trash and other unclean waste day and night. This was also a place outside the jurisdiction of the Jewish religious authority as well and tradition hold that idol worship and child sacrifices to pagan gods like Molech occurred here. So likewise, in the Hell only, are you free to worship yourself, evolution, Satan, or no god at all (aka: atheist) or whatever else you want to see as god. But within God's creation only God is worshiped and His commands obeyed. What is not fit in God's kingdom? 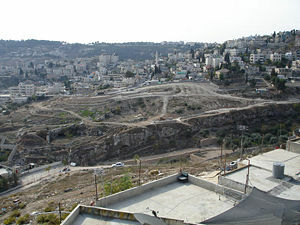 The Valley of Hinnom in 2005 from Mount Zion. 13 Your eyes are too pure to look on evil; you cannot tolerate wrongdoing. Envyings, murders, drunkenness, revelings, and such like: of the which I tell you before, as I have also told you in time past, that they which do such things shall not inherit the kingdom of God. God can not tolerate sin/evil in His presence because is Holy. Like any parent who makes the rules for what is allowed within their house, God makes it clear what qualities are acceptable within His kingdom. If we want to live with God or where He is we must submit to His rules. How can this eternal torture match up with God's justice? If we look at the above list we these qualities have two major things in common. First they all are completely against God's spoken laws of the 10 commandments as well as Jesus' 2 commands of love (aka: God's moral standard). Second they all favor anarchy, rejecting any kind of law in favor of their own enjoyment at the expense of anyone and everyone else. These same people if given a choice would most likely not want to be with a God that tells them what they can and can not do. Therefore they would not choose to live in a world with God as the ruler over them. Unfortunately for them, when God creates a new heaven and earth, He will rule over the entire universe. We also know God respects our free will and our freedom to choose. But the problem lies in that you either choose to submit to God's rule and enter his new universe (aka heaven) or not to submit to His rule and have to be sent to a place where He doesn't rule. It fits God's justice in the fact that He respects our free will to choose to be with Him or not. He will not force Himself upon us, if we do not freely want Him. Love must be freely given and if you do not want God, He will not force you to make the choice for Him against your will. If we choose not to be with Him then we have to go to the only place where God will not be and that is the Lake of Fire, which is the quarentine for all evil. How do submit to God's rule so I can get into his Kingdom? This is an all important question. You are basically asking: "How do I get into Heaven." The good news for you is that God took care of making a way for you to make you fit to enter His kingdom and makes that way a free gift to you. All you need to do is accept this gift for yourself.